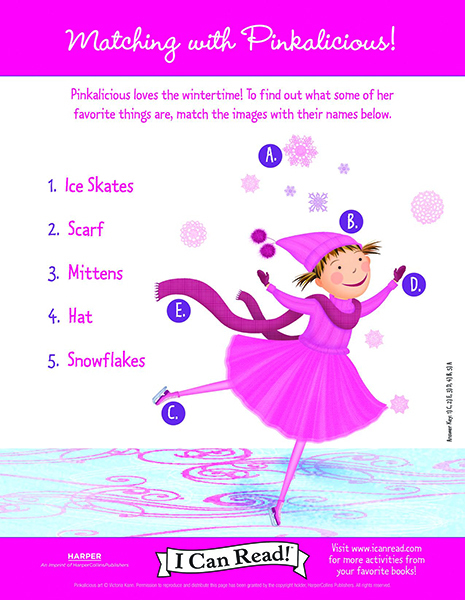 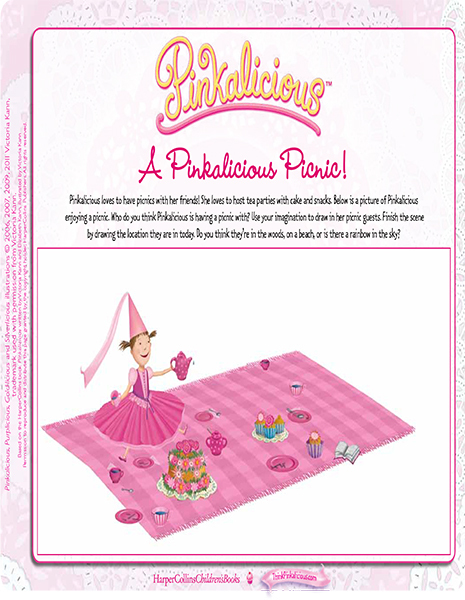 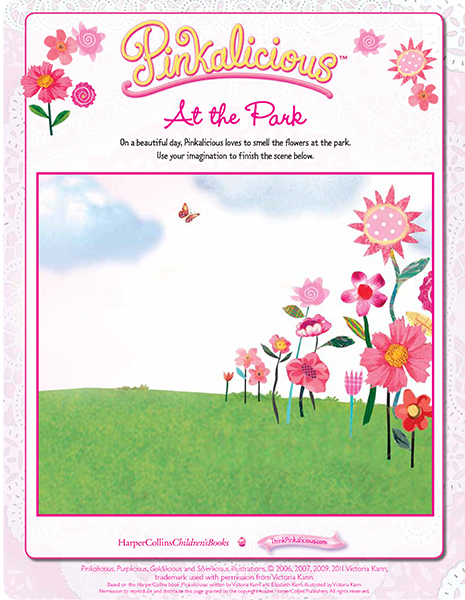 Browse the complete collection of Pinkalicious and Peterrific coloring sheets, craft pages, puzzles, games, teaching guides, and more! 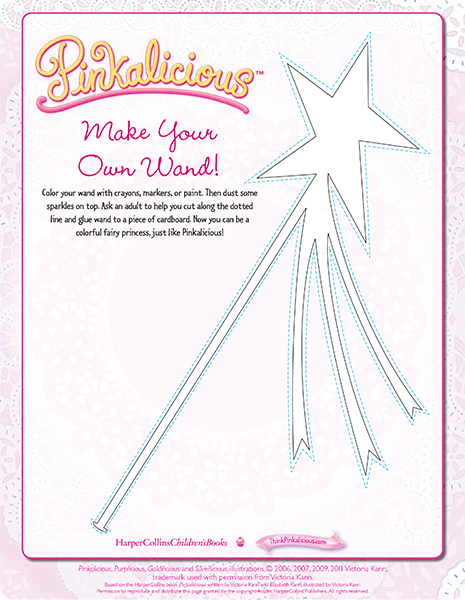 Every Pinkerella needs a magical best friend like Goldilicious! 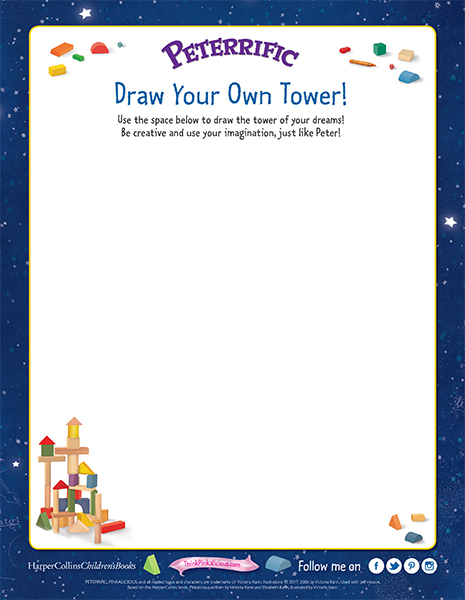 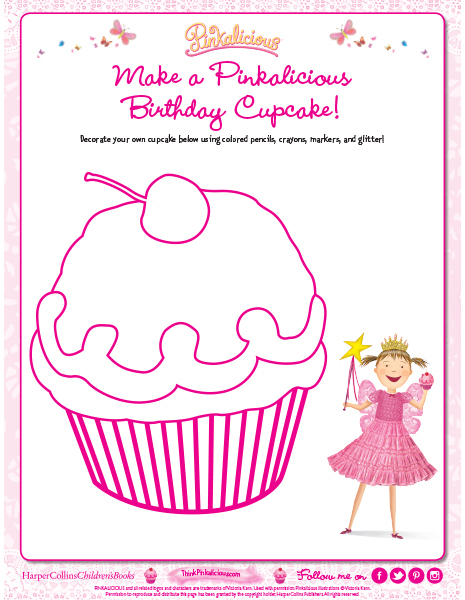 Use crayons, markers, and glitter to decorate the image. 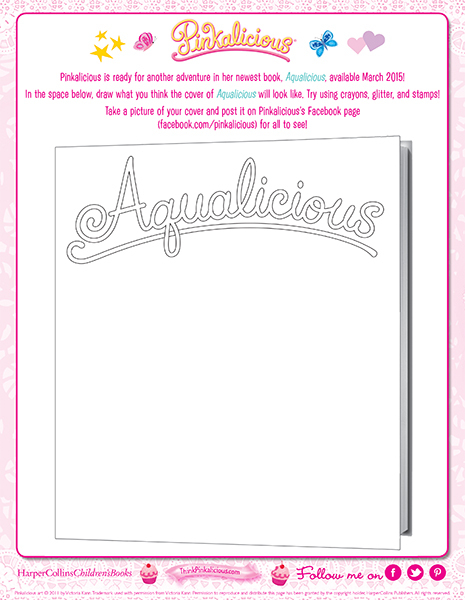 Be creativalicious! 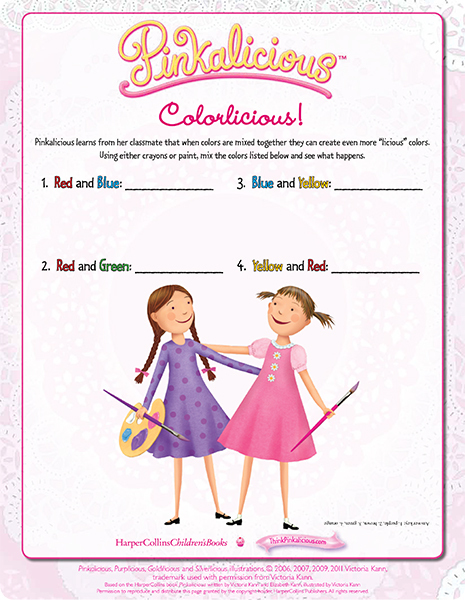 Pinkalicious learns from her classmate that when colors are mixed together they can create even more “licious” colors. 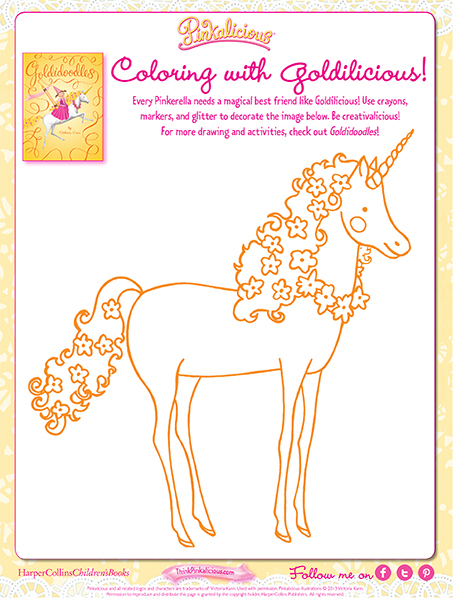 Using either crayons or paint, mix the colors and see what happens. 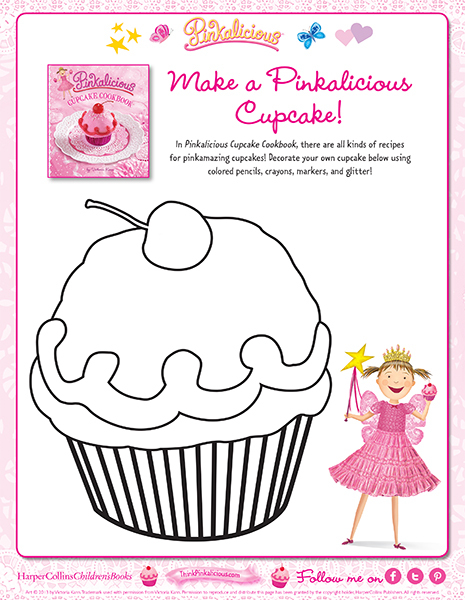 Decorate your own cupcake using colored pencils, crayons, markers, and glitter! 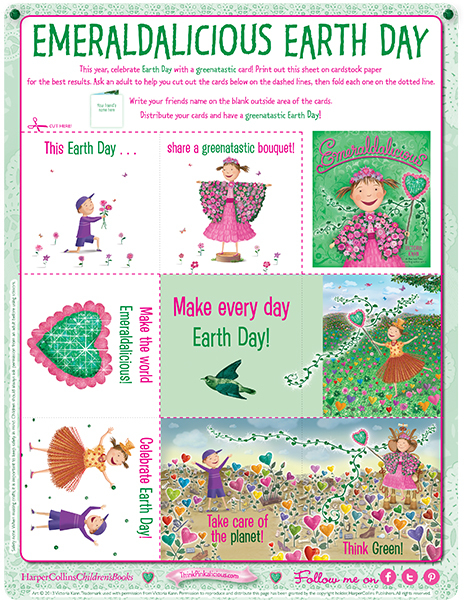 This year, celebrate Earth Day with a greenatastic card! 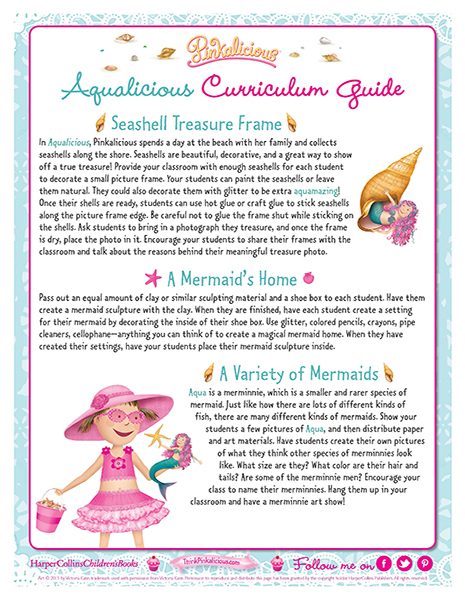 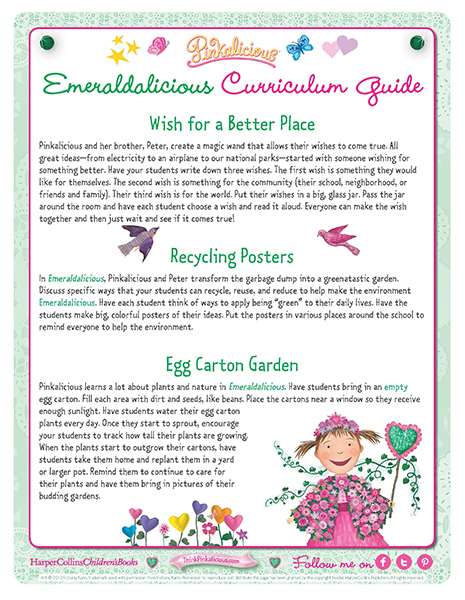 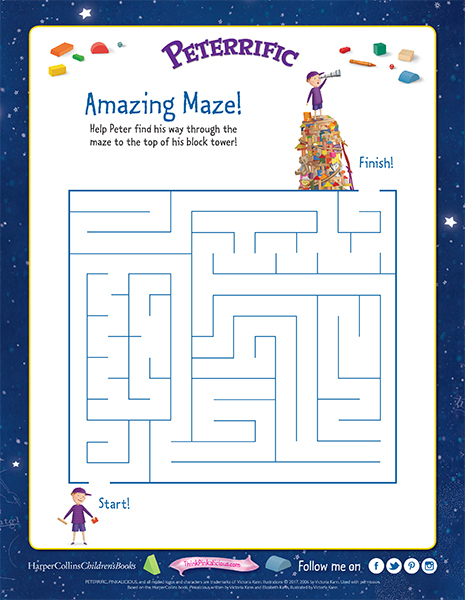 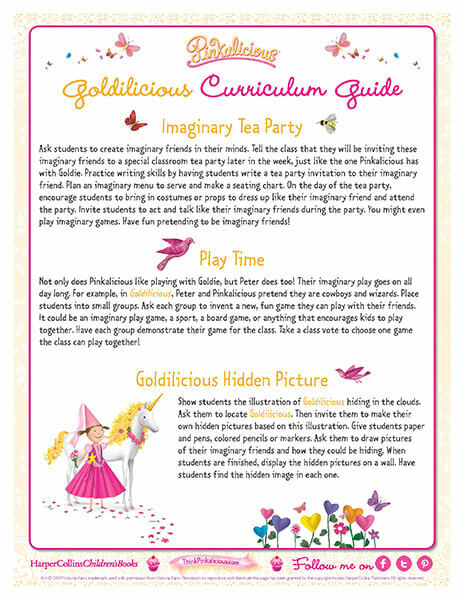 Download a free Lesson Plan for Goldilicious by Victoria Kann! 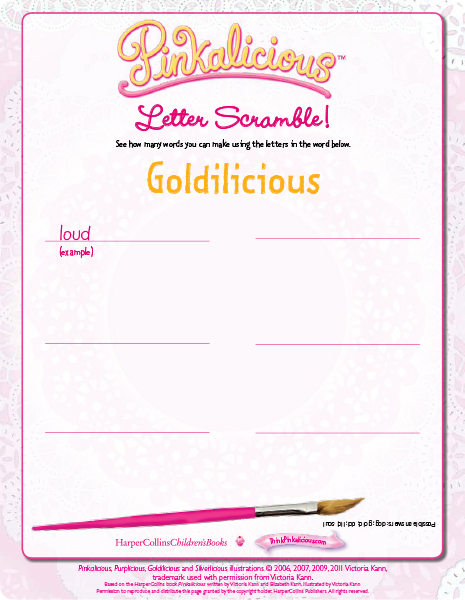 See how many words you can make using the letters in the word “Goldilicious”! 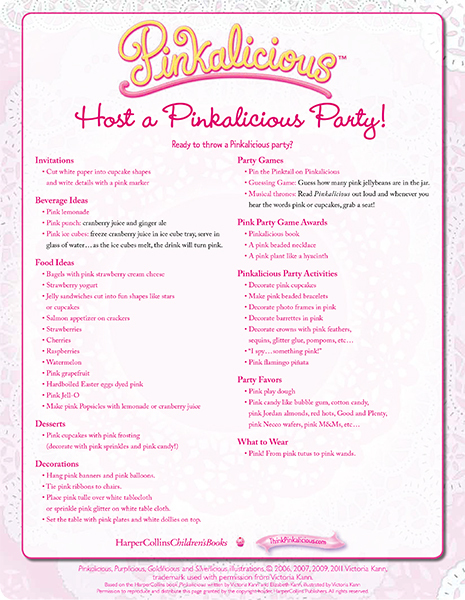 Throw a Pinkeriffic Party with These Tips! 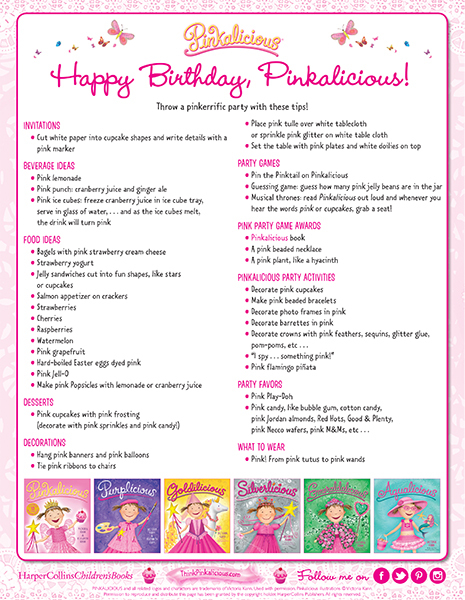 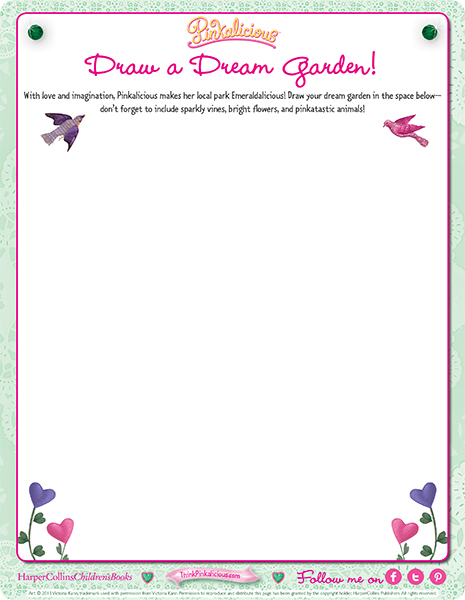 Includes ideas for Pinkalicious party invitations, decorations, food and drinks, desserts, favors, party activities, and games! 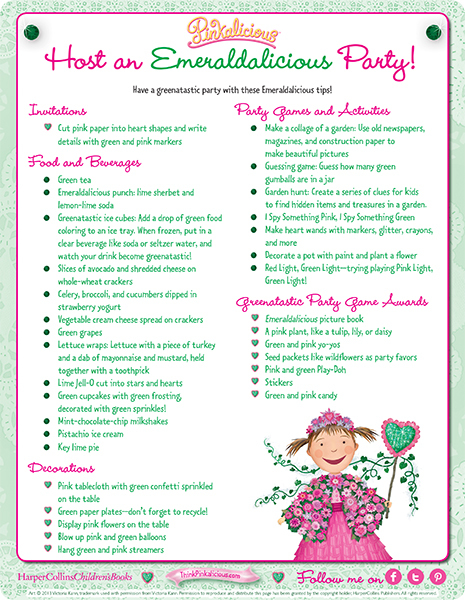 Have a greenatastic party with these Emeraldalicious tips! 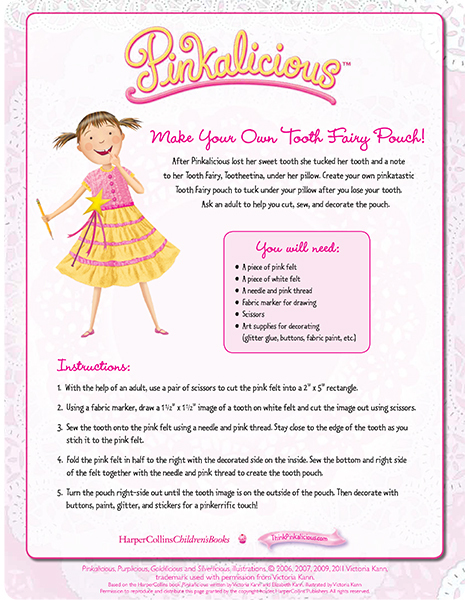 Now you can be a colorful fairy princess, just like Pinkalicious! 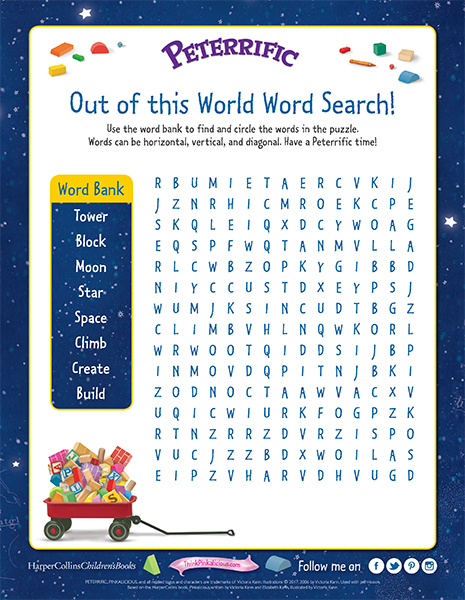 Use the word bank to find and circle the words in the puzzle. 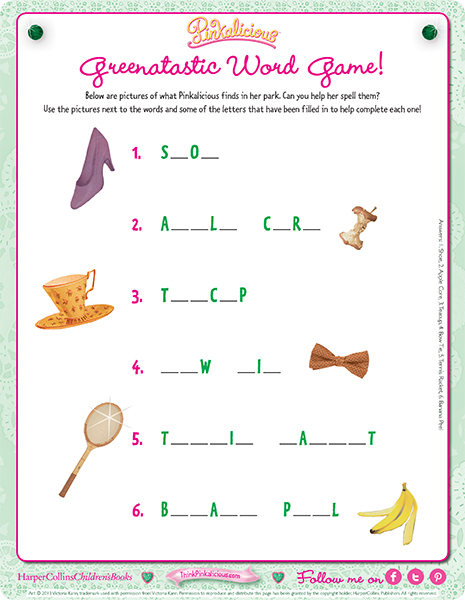 Words can be horizontal, vertical, and diagonal. 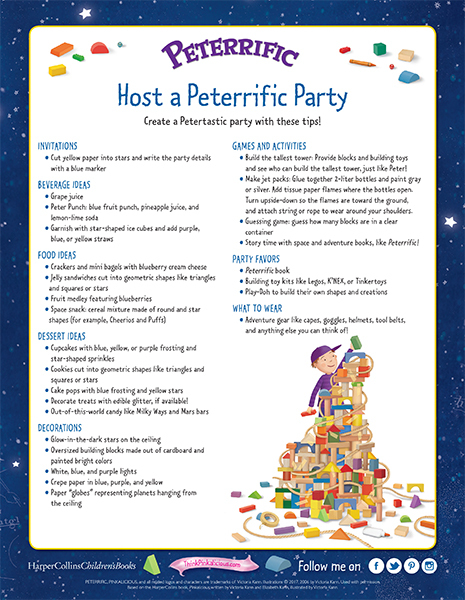 Have a Peterrific time! 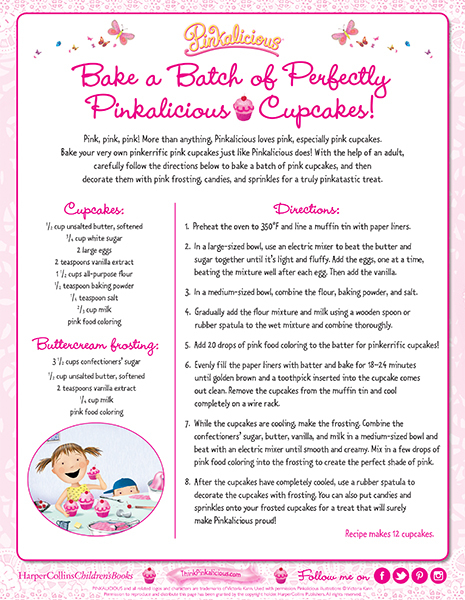 Bake your very own pinkerrific pink cupcakes just like Pinkalicious does!